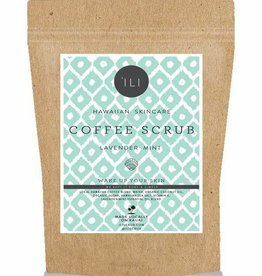 This Hawaiian rose coffee scrub has over 40 antioxidant compounds that not only tones and brightens your skin it also removes toxins and stimulates circulation throughout your body. The scent of fragrant rose is intoxicating, motivating and can give you the power to start your day or invigorate your night out. 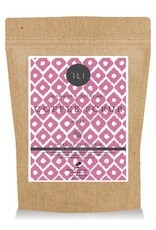 This Rose coffee scrub is a powerful antiseptic. Palmarosa helps to clean and rid skin of blemishes by clearing acne-causing bacteria. Helps the skin retain its water balance, regulate its secretion of sebum, and has a reputation for eliminating wrinkles. Palmarosa is known to also reduce hypo-pigmented skin from scars and stretch marks and helps prevent damage from free radicals while improving beautiful skin elasticity. 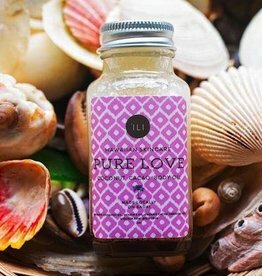 After dampening your skin, it’s best to turn the shower off, with a couple small handfuls of ‘Ili, scrub your entire body using moderate pressure in circular motions, loving every inch of your self. We recommend letting the product be on your skin for a minimum of five minutes—longer if you can. This gives all the amazing properties of the powerful ingredients time to do their thing. Rinse and repeat every few days. 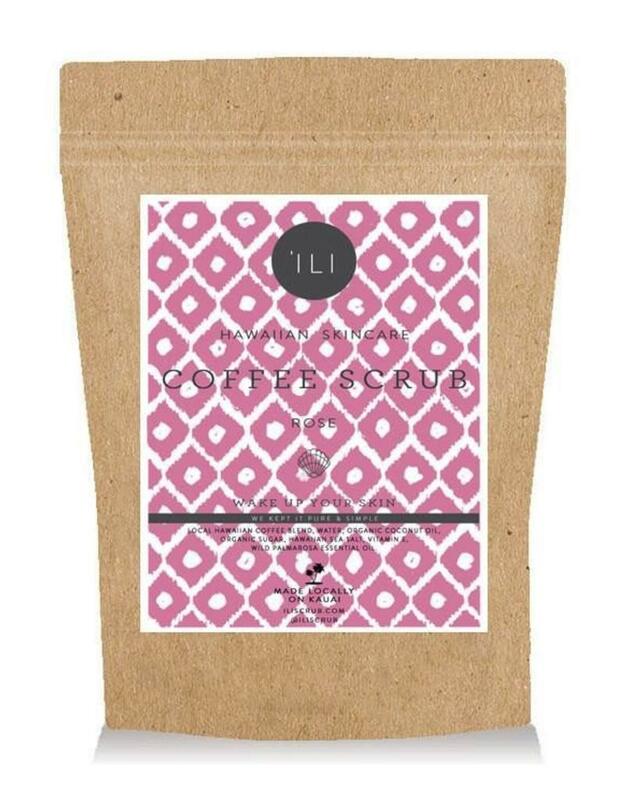 This handcrafted Rose coffee scrub is made with organic local Hawaiian coffee blends, water, organic coconut oil, organic sugar, Hawaiian sea salt, vitamin E, and essential oils.